Please create a free account at Jo-Games to access unlimited downloads & streaming. Join hundreds of thousands of satisfied members who became tired of traditional computer games, and now play the hottest new games and classics on our site. Play Games & many more directly on your browser or download on PC or Tablet! Unlimited access to our comprehensive library of casual games, mini games, free to play games, classic games and full version PC and Tablet games. Play the best games in every genre including action, RPG, strategy, fantasy, dress up, shooter, sci-fi, vampire, anime/manga and many more. Get Access to more than 1600 full version games for FREE! Your access to and use of this website (the "Site") is subject to these Terms and Conditions of Use. By accessing this Site, the user ("you") agrees to be bound by these Terms and Conditions of Use whether or not you have read them. If you do not agree to these Terms and Conditions of Use, do not access this Site. This site is provided to you by Boom Content LLC(registered address : Boom Content LLC, 1000 N West Street - Suite 1200, Wilmington (DE) 19801, USA). Boom Content LLCmay at its sole discretion modify these Terms and Conditions of Use at any time and such modifications will be effective immediately upon being posted on this Site. Your continued use of this Site will indicate your acceptance of these modified Terms and Conditions of Use. The products and services offered or referred to on this Site are subject to availability of the products and services. Further, availability for purchase of product types or individual products is subject to change by Boom Content LLCin its sole discretion at any time without notice. Contemplation of certain product types in these Terms and Conditions of Use does not mean such products or product types are available for purchase on the Site or otherwise, at any given time. The prices stated for such products and services are subject to change without notice.In addition, Boom Content LLCreserves the right to reduce monthly recurring fees at any time in the purpose of promotion without notice. This Site may include inaccuracies or typographical errors that may be corrected as they are discovered at Boom Content LLC 's sole discretion. Boom Content LLC 's personal information practices on this Site are governed by Boom Content LLC 's privacy statement. Please review this privacy statement and print a copy for your records. This Site does not intend to target or collect personal information from individuals under the age of 13. This Site may contain links to or references to third party websites. These links are provided for your convenience only. No endorsement of any third party products, services or information is expressed or implied by any information, material or content of any third party contained in, referred to, included on, or linked from or to this Site. Any information, data, opinions, recommendation, products or services provided by such third parties through links to other websites or otherwise made available through their websites are solely those of such third parties and not of Boom Content LLCor its affiliates. Your use of such third party websites is subject to the terms and conditions of use and the privacy policies of such websites. In providing registration and transactional information to Boom Content LLC , you agree to provide true, accurate, current and correct information about yourself, and to maintain and update registration information to keep it true, accurate, current and complete. If Boom Content LLChas reasonable grounds to suspect that such information is untrue, inaccurate, not current or incomplete, Boom Content LLChas the right to suspend or terminate your account and refuse any and all current or future use of the account. In using this Site you agree that you will not: (a) post, disseminate or transmit unauthorized advertising, promotional materials, chain letters, junk mail or any other type of unsolicited mass email to people or entities who have not agreed to be part of such mailings; (b) omit, delete, forge or misrepresent transmission information, including headers, return mailing and Internet protocol addresses, or otherwise manipulate identifiers to disguise the origin of any content; (c) impersonate any person or entity, or falsely state or otherwise misrepresent an affiliation with any person or entity; (d) engage in any activities intended to withhold or cloak identity or contact information; (e) send harassing and/or threatening messages to others; (f) post excessive responses to interactive features or functions of this Site or (g) engage in 'flooding', i.e., ICMP flooding and mail bombing (sending large amounts of email repeatedly to the same email address). To the extent that any of the following activities materially interfere with this Site or the network and systems of a Boom Content LLCservice provider ("Service"), you will not: (a) post, disseminate or transmit any worm, viruses or other harmful, disruptive or destructive files, code or programs on this Site; (b) use Internet Relay Chat (IRC) bots, i.e., programs that utilize excessive resources by connecting to an IRC network and running 24 hours per day; (c) hinder the ability of others to use IRC; (d) disrupt the normal flow on this Site or otherwise act in a manner that negatively affects other users' ability to engage in real time exchanges; (e) interfere with, disrupt, or harm in any way the servers or networks connected to this Site or Service; (f) use this Site or Service to access the accounts of others without permission; (g) attempt to penetrate security measures of this Site, Service, or another entity, or obtain or bypass others passwords; or (h) engage in denial of service attacks, i.e., actions designed to impair network access by flooding a site or the Internet with useless traffic. Boom Content LLCdoes not accept, by any means of transmission, any unsolicited submissions, in any form whatsoever including, without limitation, any marketing, advertising and/or creative suggestions, scripts, lyrics, jingles, product samples, prototypes, games and/or games (hereinafter referred to as "Submissions"). If you elect to forward to us any such Submission, then by doing so, you acknowledge that said Submission has not been requested by us and that (1) we are not liable for any use, disclosure, or return to you of your Submission, (2) no confidential relationship is established or is to be implied in any way from our receipt of the Submission and any statement to the contrary with your Submission shall not alter this condition, (3) you understand that you will not be entitled to any compensation from us based upon your Submission, (4) the receipt of your Submission shall not constitute a waiver by us of our rights to contest the validity of any copyright, or other intellectual property rights that you may now or hereafter claim for the Submission, and (5) any previously, concurrently or subsequently submitted materials relating to this Submission shall be considered to have been submitted in accordance with these conditions. You are solely responsible for managing your password and for keeping your password confidential. No one from Boom Content LLCwill be authorized to provide your password. If you have forgotten your password, click on the "Forgot Password?" link at the top of the screen. Follow the instructions, and a link to change your password will be emailed to you. You are also solely responsible for restricting access to any computer you use to access your Boom Content LLC .com account. You agree that you are responsible for all activities that occur on your account or through use of your password by yourself or by other persons. If you believe that your work has been copied in a way that constitutes copyright infringement, please provide Boom Content LLC 's copyright agent the written information specified below. Please note that this procedure is exclusively for notifying Boom Content LLCand its affiliates that your copyrighted material has been infringed. The materials displayed on or contained within this Site including, without limitation, all Site software, design, text, editorial materials, informational text, photographs, illustrations, games, audio clips, video clips, short features, artwork and other graphic materials, and names, logos, trademarks and service marks (the "Materials"), are the property of Boom Content LLCor its licensors and are protected by copyright, trademark and other intellectual property laws. Boom Content LLCname, design and related marks are trademarks of Boom Content LLC2009 Boom Content LLCAll rights reserved. Boom Content LLChereby grants you a personal, non-exclusive, non-assignable and non-transferable license to use and display the Materials for noncommercial and personal use only; provided that you maintain all copyright and other notices contained in such Materials. You agree not to reproduce, modify, create derivative works from, display, perform, distribute, disseminate, broadcast or circulate any Materials to any third party (including, without limitation, the display and distribution of Materials via a third part website) without express prior written consent of Boom Content LLCUse of Materials is only permitted with the express written permission of Boom Content LLCand/or its licensors. You further agree that you will not disassemble, decompile, reverse engineer or otherwise modify the Materials. This Section will survive the termination of your right to use this Site. THIS SITE, ITS CONTENTS, AND ANY SOFTWARE, PRODUCTS, AND SERVICES OFFERED OR CONTAINED HEREIN ARE PROVIDED ON AN "AS IS" BASIS AND ON AN "AS AVAILABLE" BASIS. Boom Content LLCMAKES NO REPRESENTATIONS OR WARRANTIES OF ANY KIND WITH RESPECT TO THIS SITE, ITS CONTENTS, OR SUCH SOFTWARE PRODUCTS AND SERVICES, AND DISCLAIMS ALL SUCH REPRESENTATIONS AND WARRANTIES, INCLUDING, WITHOUT LIMITATION, FOR EXAMPLE WARRANTIES OF MERCHANTABILITY AND FITNESS FOR A PARTICULAR PURPOSE., NON-INFRINGEMENT OF THIRD PARTY RIGHTS, ERROR-FREE OR UNINTERRUPTED SERVICE, ACCURACY AVAILABILITY, RELIABILITY, SECURITY, CURRENCY AND COMPLETENESS ARISING FROM OR RELATING TO THIS SITE, ITS CONTENT OR ANY LINKS, ANY SOFTWARE, TOOLS, TIPS, PRODUCT OR SERVICES PROVIDED THROUGH THIS SITE. IN ADDITION, Boom Content LLCDOES NOT REPRESENT OR WARRANT THAT THE INFORMATION ACCESSIBLE VIA THIS SITE IS ACCURATE, COMPLETE OR CURRENT. PRICE AND AVAILABILITY INFORMATION IS SUBJECT TO CHANGE WITHOUT NOTICE. IN NO EVENT SHALL Boom Content LLC , ITS AFFILIATES, Boom Content LLCFRANCHISEES AND ANY OF THEIR RESPECTIVE DIRECTORS, OFFICERS, EMPLOYEES, AGENTS OR OTHER REPRESENTATIVES BE LIABLE FOR ANY DIRECT, INDIRECT, SPECIAL, INCIDENTAL, CONSEQUENTIAL, PUNITIVE OR AGGRAVATED DAMAGES (INCLUDING WITHOUT LIMITATION DAMAGES FOR LOSS OF DATA, INCOME OR PROFIT, LOSS OF OR DAMAGE TO PROPERTY AND THIRD PARTY CLAIMS) OR ANY OTHER DAMAGES OF ANY KIND, ARISING OUT OF OR IN CONNECTION WITH: THIS SITE; ANY MATERIALS, INFORMATION, QUALIFICATION AND RECOMMENDATIONS APPEARING ON THIS SITE; ANY SOFTWARE, TOOLS, TIPS, PRODUCTS, OR SERVICES OFFERED THROUGH, CONTAINED IN OR ADVERTISED ON THIS SITE; ANY LINK PROVIDED ON THIS SITE; AND YOUR ACCOUNT AND PASSWORD, WHETHER OR NOT Boom Content LLCHAS BEEN ADVISED OF THE POSSIBILITY OF SUCH DAMAGES. THIS EXCLUSION OF LIABILITY SHALL APPLY TO THE FULLEST EXTENT PERMITTED BY LAW. THIS PROVISION SHALL SURVIVE THE TERMINATION OF YOUR RIGHT TO USE THIS SITE. You agree to indemnify and hold harmless Boom Content LLCand its affiliates and their respective directors, officers, employees, agents or other representatives from and against all claims, liability and expenses, including all legal fees and costs arising from or relating to (a) your breach of these Terms and Conditions of Use; and (b) your use of this Site including transmission or placement of information or material by you on this Site. This provision shall survive the termination of your right to use this Site. All claims, disputes or controversies (whether in contract or tort, pursuant to statute or regulation, or otherwise, and whether pre-existing, present or future) arising out of or relating to: (a) these Terms and Conditions of Use; (b) this Site; (c) any advertisement or promotion relating to these Terms and Conditions of Use or this Site; or (d) transactions effectuated through this Site, or (e) the relationship which results from these Terms and Conditions of Use (including relationships with third parties who are not party to these Terms and Conditions of Use) (collectively "Claims"), will be referred to and determined by binding arbitration governed by the Federal Arbitration Act and administered by the American Arbitration Association under its rules for the resolution of consumer-related disputes, or under other mutually agreed procedures. Because this method of dispute resolution is personal, individual and provides the exclusive method for resolving such disputes, you further agree, to the extent permitted by applicable laws, to waive any right you may have to commence or participate in any class action or class-wide arbitration against Boom Content LLCrelated to any Claim. Boom Content LLCmay at any time and at its sole discretion terminate your right to use this Site. These Terms and Conditions shall be governed by, construed and enforced in accordance with the laws of the United States of America, without regard to its conflict of laws provisions. This Site may include publications with technical inaccuracies or typographical errors that may be corrected as they are discovered at Boom Content LLC 's sole discretion. Also, changes are periodically made to the information contained herein. 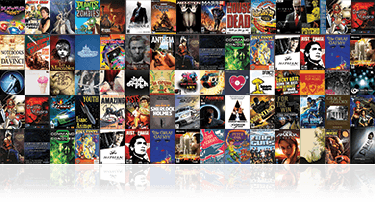 All Boom Content LLCOnline monthly package plans allow members to access the Site's free games library by paying a periodic fee. You can play as many games in the Site's free games library as you want. Access to Your Boom Content LLCOnline Account. You consent to receive communications from Boom Content LLCabout your Boom Content LLCOnline monthly package electronically, either by e-mail or by notices posted on this site, as determined by Boom Content LLCin its sole discretion. You agree that any requirement that a notice, disclosure, agreement, or other communication be sent to you by Boom Content LLCin writing is satisfied by such electronic communication. You agree that Boom Content LLCOnline may send you e-mails which include notices about your account as well as information pertaining to our service, such as featured products or new offerings. You agree that this information is part of your signup and your relationship with Boom Content LLCOnline. To subscribe to the Site, you must provide to Boom Content LLCyour name, e-mail address and credit card. There are two types of package on the Site, a regular (default) account and a premium account. If you choose to keep a regular (default) package you will NOT be charged, and your credit card is kept on file for further upgrades (if applicable). If you choose to upgrade to our premium package only then will there be a recurring charge on your Payment Method. By requesting a premium package in the Site and by accepting the benefits of the Site, you agree that as a condition of your continued premium package in the Site you authorize Boom Content LLCor its agent to charge your Payment Method the periodic Boom Content LLCOnline premium package fee (plus applicable taxes) applicable to your premium package plan (e.g., 1 month, 3 months, 5 months), in effect from time to time, on each periodic anniversary date of that premium plan, until your Boom Content LLCOnline premium package is canceled as herein provided. For example, if you have a monthly premium plan, and your paid premium package began on June 19, your periodic anniversary date is the 19th of each month, and your Payment Method will be charged for the applicable periodic (monthly) premium package fee on that date each month. If your periodic anniversary date falls on a date that is not contained in your anniversary month (for example, if your paid premium package started on the 31st day of a month), your Payment Method will be charged on the first day of the following month. You will not be provided with copies of charge slips evidencing the recurring charges of the applicable periodic premium package fee. You agree to pay the applicable periodic premium package fees (plus taxes) in accordance with your Payment Method issuer agreement, if applicable. You also authorize Boom Content LLCto charge your Payment Method for any other charges you may incur associated with your Boom Content LLCOnline premium package. If your Payment Method is a credit or charge card (the Payment Card), you also authorize Boom Content LLCto place a pending charge to your Payment Card when you sign up for package, and prior to each subsequent periodic charge. Pending charges are used to verify your billing address and the validity of your Payment Card, are temporary (typically 3 to 7 days in length), and will not be converted into an actual charge to you. Pending charges, while pending, will, however, reduce the available amount of credit on your Payment Card in the amount of $1 per pending charge. You are solely responsible for any and all fees charged to your Payment Method by the issuer, bank, or financial institution including, but not limited to, monthly package fees, overdraft, insufficient funds and over the credit limit fees. From time to time, in Boom Content LLCOnline's sole discretion, Boom Content LLCOnline may offer a reduced monthly package fee for the Site's service for a specified promotional period, to first-time or other selected customers. If you are taking advantage of an introductory offer for new customers, at the time of registration for the Boom Content LLCOnline service, your Payment Method will be charged the promotional price plus applicable taxes for the promotional period. For all promotional offers, you agree that any such reduced price is only valid for the specified promotional period, and that the regular applicable periodic monthly package fee plus applicable taxes will be charged to your Payment Method for each automatic renewal following the end of the promotional period. Terms of the promotional offer, including the promotional price and duration of the promotional price, may vary from time to time. Specific details of your offer not covered in the Terms and Conditions will be explained on the web page on which you land prior to beginning the sign-up process or as part of the sign-up process. Boom Content LLCreserves the right to give promotional access to our other sites to selected members. From time to time, in Boom Content LLCOnline's sole discretion, the Site may offer a free trial period to first-time customers, limit one per household and/or Payment Method provided. Where such an offer is made, at the time of registration for your free trial, your credit or check card will be authorized for one month of service plus applicable taxes, though your Payment Card will not be charged for the duration of the free trial period. Other terms of free trial offers, including duration of free trial, may vary. Specific details of your free trial not covered in the Terms and Conditions will be explained on the web page you land on prior to beginning the sign-up process or as part of the sign-up process. Your trial period begins the day you sign up for Boom Content LLCOnline Monthly Package. Upon completion of the free trial period, your signup to the Site will renew automatically on a monthly basis billed as stipulated in your signup process, until cancelled regardless of the length of your free trial period. Please note, prices for the service may vary depending on country, device, service offered and promotions. The first day following the expiration of your free trial period will be your anniversary date for billing purposes during your Monthly Package Term. Your Payment Method will be charged the recurring monthly package fees and any applicable sales tax on the day following the expiration of your free trial period unless you have chosen to cancel your package prior to the conclusion of the free trial period. YOU MUST CANCEL YOUR MONTHLY PACKAGE PRIOR TO THE END OF THE FREE TRIAL OFFER TO AVOID CHARGES TO YOUR PAYMENT METHOD. You will not receive any notification from Boom Content LLConline at the expiration of your free trial. Please note the expiration date of your free trial for your records. During the free trial period, you will receive the benefits of Boom Content LLCOnline for no charge. Monthly packages may be cancelled or modified at any time prior to the end of your free trial by calling 1-877-801-9071 for US and Canada or 1-302-824-0109 for international, 7 days a week 24h/7. Any plan changes made to your account prior to the end of your free trial will nullify the remaining period of your free trial and you will be charged for the new plan selected. Jo-games.com has five major membership content categories: music, movies, books, games, and “all-access”. From time to time, Jo-games.com may offer additional membership-content categories. Users that sign up initially to any specific category may be given the option to upgrade to an “all-access” membership for a surcharge of $2.95 or another stipulated amount during the signup process. This new membership will follow all terms and conditions of the user’s original membership but unlock access to additional content. EXPIRATION DATE AND REFUSAL OF CHARGES TO YOUR PAYMENT CARD: If your Payment Card reaches its original expiration date, your failure to cancel your Boom Content LLCOnline Monthly Package constitutes authorization for Boom Content LLCto continue billing that Payment Card. If your Payment Card for any reason will not accept charges for any periodic package fee, you have a period of nine (9) days from the date that your Payment Card was declined to make your Payment Card information valid by either rectifying the issue with the Payment Card issuer or providing new Payment Card information at www.Boom Content LLC .com. If Boom Content LLCis able to charge your Payment Card (existing or new, if you have provided new Payment Card information,) during the nine (9) -day period and any past due Boom Content LLCOnline Monthly Package fees are paid, then Boom Content LLCOnline benefits will continue uninterrupted and this Payment Card will be used to charge the applicable periodic monthly package fee for each consecutive renewal period until your Boom Content LLCOnline Monthly Package is canceled (your original anniversary date will still apply). If Boom Content LLCis unable to charge your Payment Card (existing or new, if you have provided new Payment Card Information), within the nine (9) -day period, then your Boom Content LLCOnline Monthly Package will be indefinitely suspended beginning on the tenth (10th) day from the date your Payment Card was initially declined. For the thirty (30) days immediately following the suspension day, Boom Content LLCmay attempt to charge the Payment Card the periodic monthly package fee every ten (10) days. If the charge is accepted, then your Boom Content LLCOnline benefits will be reinstated as of the date the charge is accepted. This charge date now becomes your new periodic anniversary date and the Payment Card will be used to charge the applicable periodic monthly package fee for each consecutive renewal period until your Boom Content LLCOnline Monthly Package is canceled and will be your Payment Card for all purposes. The initial periodic Boom Content LLCOnline Monthly Package fee is valid for an initial package period starting on the date your paid monthly package begins and continuing through the periodic anniversary date. For example, if you are on a free trial monthly package and your free trial expires on June 17 and your paid Boom Content LLCOnline Monthly Package begins on June 18, your initial monthly package fee entitles you to Boom Content LLCOnline benefits until July 18 and your Payment Method will be charged on July 18 (the anniversary date) for the period of July 19 through August 18. You can cancel your Boom Content LLCOnline Monthly Package at any time and you will not be charged for any additional renewals. For example, if your anniversary date is the 5th of each month and you cancel your Boom Content LLCOnline Monthly Package on Oct. 20, then you will not be charged on Nov. 5 (for the Nov. 6 - Dec. 5 period) and your Boom Content LLCOnline Monthly Package Term will terminate on Nov. 5. However, if you canceled on Oct. 2, then your Boom Content LLCOnline monthly package Term would terminate Oct. 5. To cancel your monthly package simply call toll-free at 1-877-801-9071 for US and Canada or 1-302-824-0109 for international, 7 days a week from 0AM to 12PM. When you cancel, you will be required to provide Boom Content LLCwith certain information regarding your reason for cancellation. Modifying ofBoom Content LLCOnline Monthly Package. You may modify your Boom Content LLCOnline Monthly Package plan, i.e., upgrade, downgrade, and/or change from a monthly plan to a plan with longer initial and renewal monthly package periods, as long as there is no lapse in your monthly package. To modify your simply call toll-free at 1-877-801-9071 for US and Canada or 1-302-824-0109 for international, 7 days a week from 0AM to 12PM. You will be asked to give your authorization to the new periodic monthly package fee. By modifying your Boom Content LLCOnline monthly package, you are also agreeing and directing Boom Content LLCor its agent to continue to automatically renew your new Boom Content LLCOnline Monthly Package on each anniversary date applicable to the new monthly package plan, for the applicable monthly package fee (plus taxes) by charging your Payment Method until your Boom Content LLCOnline Monthly Package is canceled as provided herein. The new monthly package plan will begin on the day which would have been the anniversary date of the prior monthly package plan. Boom Content LLC initiated Cancellations. Boom Content LLCmay suspend or cancel a Boom Content LLCOnline Monthly Package account, or otherwise restrict your use of the Site, in Boom Content LLC 's sole discretion, with or without cause. Fraud, Abuse or Piracy. Games provided by the Site are for personal, non-commercial use only. Boom Content LLCdoes not condone unauthorized copying, distribution or other infringement of protected intellectual property of Boom Content LLCor of third parties. Cancellation or Changes to Program by Boom Content LLC . Boom Content LLCmay make changes to the Site's' service, including, without limitation, any promotional offers and free trials or availability and amount of e-coupons or other in-store free purchase, at any time, and from time to time, without prior notice. In addition, Boom Content LLCmay change the Boom Content LLCOnline periodic monthly package fees and the number or composition of permitted purchase from time to time, provided, however, that Boom Content LLCwill give prior notice via e-mail of any change to the periodic monthly package fees or price or the number or composition of permitted purchases that will adversely affect you. You agree that, unless you cancel your monthly package prior to the effective date of the change, you will be charged the new applicable Boom Content LLCOnline periodic Monthly Package fee (plus applicable taxes) on each anniversary date after the effective date of such change, and you authorize Boom Content LLCto charge the new applicable periodic monthly package fee (plus applicable taxes) to your Payment Method. Boom Content LLCreserves the right to suspend or end the Boom Content LLCOnline service (including, without limitation, ceasing to offer one or all of Boom Content LLCOnline Monthly Package plans, promotional offers or free trials) without prior notice, in Boom Content LLC 's sole discretion. Boom Content LLCalso reserves the right to suspend or end the Boom Content LLCOnline service or certain aspects thereof in certain geographic areas without prior notice, in Boom Content LLC 's sole discretion. You agree that monthly package in Boom Content LLCOnline does not involve an extension of credit or a retail instalment sale since Boom Content LLCdoes not impose a finance charge and you may cancel your monthly package at any time. Void where prohibited. Boom Content LLCOnline will charge all applicable state and local taxes. RSS (Really Simple Syndication) feeds are provided as a quick and easy way for you to distribute information from the Boom Content LLC .com web site or from your Boom Content LLCOnline account. RSS Feeds are accessible through an XML-based URL that can be accessed with an RSS reader of your choice. Use of personal RSS feeds that contain information about your Boom Content LLC .com account (Queue, Game Ratings and purchase Activity) is at your own discretion. If you use personal RSS feeds, you consent that the information in the feeds will be transferred to the location in which you enable the RSS feed. Boom Content LLCwill not pass any personally identifiable information in your feed. However, your use of an RSS feed may cause personally identifiable information that is associated with the RSS feed to be associated with you. You acknowledge that your use of an RSS feed and any personally identifiable information associated with it is at your sole discretion and risk. Use of the Boom Content LLCRSS feeds is for non-commercial, personal use whether or not you use an RSS feed is entirely at your discretion. You may not modify the RSS feeds. If an RSS feed contains an attribution to Boom Content LLC , you may not remove the attribution. Boom Content LLCprovides no warranty regarding its RSS feeds and reserves the right to terminate or modify the feeds at any time without notice. Boom Content LLCis not responsible for any loss or damage incurred by you or anyone else due to your use of an RSS feed. In addition to the foregoing Boom Content LLCSite Terms and Conditions of Use, downloading games and/or other programming on this Site is subject to the following additional Download Terms and Conditions. By downloading, you agree to be bound by these Download Terms and Conditions, which are subject to change by Boom Content LLCat any time, in its sole discretion, with or without advance notice. Further, Boom Content LLCreserves the right, at its sole discretion, to update, change, modify, add or remove any portion of the Service, in whole or in part, at any time. Changes to these Download Terms and Conditions will be effective when posted. The most current version of the Download Terms and Conditions, which will supersede all earlier versions, can be accessed through the hyperlink at the bottom of the Boom Content LLC .com site. You should review the Download Terms and Conditions regularly, to determine if there have been changes. Continued use of the download service on this Site constitutes acceptance of the most recent version of the Download Terms and Conditions. You must have Internet access, a valid email address, and a valid credit card, check card or checking account in order to download games and/or other programming on this Site. All materials, including graphic files, audio files, video files, games, text, hyperlinks, interlinks, search engines, and other content that Boom Content LLCand/or its affiliates and subsidiaries makes generally available ("Site Content") or makes available only to registered users of this Site pursuant to a fee-based license pursuant to the "Premium Content" section below are intended only for those persons over the age of 18. (Site Content and Premium Content shall be collectively referred to as "Download Content"). As such, in order to register for the Site's download service (the "Service") and/or obtain any of the Premium Content available through the Service, you represent that you are at least 18 years of age or older, or that you are between the ages of 13 and 18 and have received consent from your parent or guardian. In consideration for visiting this Site, using the Services, and/or accessing any Premium Content you agree to comply with these Download Terms and Conditions. You agree that you will not (i) attempt and will not assist or encourage anyone else to alter or change the software or any application related to the Service, or (ii) use the Service or Download Content for any commercial purpose. You acknowledge that Boom Content LLCmay (1) discontinue the Service, and/or (2) modify the terms under which you can use the Service and/or the Site Content and in any case, Boom Content LLCwill have no liability to you as a result of such changes. In addition, if you purchase the right to view Premium Content as set forth below, you further agree to (a) download and install Boom Content LLC 's proprietary software application; (b) make timely and satisfactory payment for any Premium Content purchased by you; (c) provide Boom Content LLCwith accurate, complete and true information about yourself as required (your "Registration Information") in order to create an account (when and if available) for use of the Service (your "Account"); and (d) maintain and update, as applicable, your Registration Information with current and complete information. Boom Content LLCreserves the right to decline to do business with you for any reason or no reason. If you violate these Download Terms and Conditions, or provide inaccurate, false, or non-current Registration Information or credit card information we may, at our sole discretion, suspend or terminate your Account, and terminate your access to the Service, with or without notice to you; and in such case you agree to destroy any copy of Download Content that you have in your possession. Furthermore, Boom Content LLCmay, in its sole discretion, pursue any other available rights or remedies at law or in equity for a violation of these Download Terms and Conditions or its (or its licensor's) rights under copyright. Boom Content LLCcharges a license fee each time you license the right to view Premium Content through the Service ("License Fee"). The License Fee price will be made available to you at the time of purchase. Payment for such Premium Content may be made by credit card, and you hereby authorize Boom Content LLCand/or its authorized agent to transact such payments on your behalf as License Fees accrue. In addition, if you authorize us to do so, we will retain your credit card or other payment information, as applicable, in our database to facilitate your checkout process for future Premium Content transactions. You agree and acknowledge that if you fraudulently report your credit card used to obtain the Premium Content from the Service as stolen, or you fraudulently report that an authorized charge by Boom Content LLCand/or its authorized agent is unauthorized, Boom Content LLCmay, in its sole discretion, pursue any available rights or remedies at law or in equity, including, without limitation, the right to terminate this Agreement and your ability to use the Service. Premium Content includes (A) game content offerings in which you pay a specific fee to have the right to use such game content for a limited specified time period, and (B) game content offerings (which may be labelled "buy", "download" or "upgrade" on the Site) in which you pay a specific fee to have the right to view such video content for an unlimited number of times ("Retained Content"). Upon payment of the initial License Fee, the Site will grant you a non-exclusive, non-transferable, limited right and license to view, use and privately display in your Residence or for Permitted Non-Residential Use, the Content purchased by you, by way of one (1) computer (or other device specifically authorized by Boom Content LLC ) connected to the Service over the Internet, provided that you comply fully with these Download Terms and Conditions. Boom Content LLCwill save the Content to your hard drive. You shall not be permitted to copy or move the Content from its originally stored location on your hard drive. The initial license to the Content is limited in its term and duration to thirty (30) days from its original date and time of download or twenty-four (24) hours from the start of its initial display and viewing, whichever occurs first, unless otherwise specified as being limited to a shorter term at the time of purchase. In some cases, to the extent specified on the Site, you may be permitted to purchase licenses for one or more additional 24-hour viewing periods for a particular item of Content. If you purchase an additional license for suchContent (to the extent such additional license is available), you will be granted an additional viewing period of 24-hours from the start of its display and viewing. You understand and agree that you will not be able to access and view such Content upon expiration of the license term. For purposes of these Download Terms and Conditions, the following definitions will apply: (i) "Residence" shall mean a private, residential dwelling unit or a private individual office unit, but excluding hotel rooms, motel rooms, hospital patient rooms, restaurants, bars, prisons, barracks, drilling rigs and all other structures, institutions or places of transient or work-related residence as well as places, areas, structures, rooms or offices which are common areas or open to the public or to occupiers of separate Residences or for which an admission fee is charged; (ii) "Permitted Non-Residential Use" shall mean the private viewing by one or more persons on a video monitor (desktop, television monitor, laptop, hand-held device or otherwise) in a Non-Residential Venue; provided, however, that any such viewing for which an access fee or other admission charge (except a per viewing charge) is imposed (other than any fee related only to access such Non-Residential Venue for other general purposes) or any such viewing that is on a monitor provided by such Non-Residential Venue (or by a third party under any agreement or arrangement with such Non-Residential Venue) for display of programming in a common area shall not constitute a "Permitted Non-Residential Use"; and (iii) "Non-Residential Venue" shall mean any place, area, structure or room other than a Residence. You may retain a permanent copy of the Retained Content on the hard drive of your personal computer (or other device specifically authorized by Boom Content LLC ) to which the Retained Content is initially delivered via a connection to the Service over the Internet. You may make a single back-up copy of the Retained Content on removable media (e.g., recordable DVD) in the same format as the original downloaded file to play on the single computer to which it was initially delivered and, if specifically permitted at the time of purchase on the Site (on a case-by-case basis), up to two (2) additional licensed computers for your personal non-commercial use ("Additional Copies"). In order to enable viewing of your Retained Content on personal computers other than the one to which it was initially delivered, you will have to obtain a new license by connecting each such computer to the Service via an Internet connection, logging in to your Account and downloading a new license. The Additional Copy feature is not currently available on the Site. Any back-up copy of the Retained Content on a DVD will not be playable. Boom Content LLCmay determine from time-to-time in its sole discretion those devices that are compatible to receive a license to view Retained Content as indicated on the Site at the time of downloading and installing the new license. Any rights granted to you hereunder (or on the Site at the time of purchase) to make and keep any copies of Retained Content is solely an accommodation to you and shall not constitute a grant or waiver (or other limitation or implication) of any rights of the copyright owners in any audio or video content contained within any Retained Content. You are solely responsible for retaining a permanent copy of the Retained Content. If the Retained Content that you purchase does not download and play correctly, please contact Customer Service and we will endeavour to resolve the problem (see below). Once you have successfully downloaded a copy of Retained Content, Boom Content LLCwill not replace the Retained Content if you are unable to play it or if you lose the Retained Content including if the file becomes damaged or corrupt, your computer crashes, your hard drive fails or the Retained Content does not play for any other reason. You agree and acknowledge that you shall not acquire any ownership rights by downloading any Retained Content from the Service, and this license granted to you as set forth in these Download Terms and Conditions does not transfer or grant any ownership rights to you, nor act as waiver any rights of Boom Content LLC , its licensors or the copyright owners with respect to any Retained Content. You may not re-sell, re-distribute, sublicense or otherwise transfer any right or license in the Retained Content, or use the Retained Content in any manner other than as set forth above or as otherwise stated on the Site at the time you purchase the Retained Content. Any additional usage rules set forth on the Site shall become part of, and are incorporated into, these Download Terms and Conditions. The Service will operate only on those hardware and software platforms specified on the Site. It is your responsibility to ensure that you have the appropriate software, hardware and Internet connection to operate the Service. Boom Content LLCreserves the right to cease supporting any hardware or software platform at any time, with or without notice. The Premium Content provided by Boom Content LLCor third parties through the Service is the property of Boom Content LLCand/or its subsidiaries and its licensors. Title, ownership rights and intellectual property rights in and to such Premium Content is the property of either Boom Content LLCor third-party content owners or copyright holders and is protected by applicable copyright and other law. Other than as expressly provided herein, these Download Terms and Conditions gives you no express or implied license or right to the Premium Content, including without limitation, any right to use, sell, copy, distribute, broadcast, modify, perform or publicly display any Premium Content. These Download Terms and Conditions (and therefore your license granted herein, including the license to use any Premium Content) shall terminate automatically and immediately if you fail to comply with any of the limitations or requirements described in these Download Terms and Conditions and in such case you must destroy any copy of Premium Content (including any Retained Content) that you have in your possession. No notice shall be required from Boom Content LLCto effectuate such termination. In addition, Boom Content LLCreserves the right to terminate these Download Terms and Conditions and discontinue access to the Service at any time for any reason upon posting notice thereof on the Site. Further, Boom Content LLCreserves the right to modify, suspend or discontinue any aspect of the Site at any time without notice to you and Boom Content LLCwill not be liable to you should it exercise such rights. Boom Content LLCservices are restricted in the following countries: Afghanistan, Anguilla, Albania, Angola, Bosnia and Herzegovina, Barbados, Burkina Faso, Burundi, Benin, Botswana, The Democratic Republic of the Congo, Central African Republic, Congo, Cote d'Ivoire, Cameroon, Cuba, Djibouti, Algeria, Egypt, Western Sahara, Eritrea, Ethiopia, Gabon, Ghana, Gambia, Guinea, Guinea-Bissau, Indonesia, Iraq, Islamic Republic of Iran, Kenya, Liberia, Lesotho, Libyan Arab Jamahiriya, Madagascar, Macedonia, Mali, Mauritania, Malaysia, Mozambique, Namibia, Niger, Nigeria, Pakistan, Reunion, Romania, Rwanda, Sudan, Sierra Leone, Senegal, Somalia, Swaziland, Chad, Togo, Tunisia, United Republic of Tanzania, Uganda, Zambia, Zimbabwe. When Does Boom Content LLCCollect Personal Information? Boom Content LLCcollects personal information from you when you voluntarily submit that information to Boom Content LLC , for example: when you register on a Site; sign up for a subscription service; register for our e-newsletter service; participate in one of our sweepstakes, contests, or surveys; respond to an offer; purchase or rent products; or request to be on a mailing list. After you have registered your e-mail address on the Site and if you have clicked "Remember Me" or signed in to the Site, Boom Content LLCcollects Site behavior and browser information as you navigate through the Site. This information may be used to create a profile that we keep on individual Users that details their preferences, personal information and behavior. Consequently, collected information is tied to the User's personally identifiable information and may be used to provide offers and improve the content of the Site for the User. This profile may also be used to tailor a User's visit to our Web Site, and to direct pertinent marketing promotions to them. Does Boom Content LLCUse Cookie Technology? What Other Mechanisms Does Boom Content LLCUse to Track User Behavior? Boom Content LLCand its third party vendors use web beacons to track and analyze non-personally identifiable usage information and to compile statistical information about our Users in order to improve the Web Site's quality and to support our business. All data collected on behalf of Boom Content LLCis owned and used by Boom Content LLC . Boom Content LLCreserves the right to publish non-personally identifiable, summary information regarding its Web Site visitors for promotional purposes and as a representative audience for business partners. How Does Boom Content LLCHandle Information from Children? How Does Boom Content LLCUse Personal Information? Use of Personal Information is for our internal business purposes. Boom Content LLCuses the personal information you provide for the purposes for which it was provided, for example, to process an order; to record your rental of a product and its return date; to support an online subscription service; to collect debts and recover overdue rental products; to notify you that you have won a contest or sweepstakes; to respond to your inquiries or complaints or to contact you or send you information about your membership. In addition, Boom Content LLC , its subsidiaries and franchisees may share and use information collected through the Site to administer and manage our business, including, for example for account maintenance and collections purposes, and in connection with information technology services. In addition, personal information may be used to create a profile that we keep on individual Users that details their preferences and behavior. This profile may be used to develop and improve the products, benefits and services, Boom Content LLC , its subsidiaries, franchisees and business partners offer to our Members or Users, to improve the Site and the associated user experience, and to develop pertinent marketing promotions to Users and Members. Where permitted or required by law, Boom Content LLCmay collect, use or disclose your personal information without your consent, for example in response to a court order or subpoena or to comply with a legally permitted inquiry by a government agency. You may receive products and communications associated with your transactions with Boom Content LLC , such as rentals, purchases, subscriptions, sweepstakes and contests. You may also receive communications from Boom Content LLCrelated to transactions that appear to be from you or which appear to be fraudulent. You may be contacted in regards to an issue on your account or in response to a customer service contact by you or in response to a specific request from you such as clicking on a "forgot my password" link. Users who sign up for e-newsletter subscriptions will receive e-mails in accordance with their selection and preferences. These administrative communications also may be accompanied by information about products and services, special offers and upcoming promotions or events offered by Boom Content LLC , our subsidiaries, our franchisees or our marketing partners that we think may be of interest to you ("direct marketing"). You may periodically receive from Boom Content LLC , its subsidiaries and franchisees unsolicited direct marketing communications by mail (delivered via the United States Postal Service). Boom Content LLCand its subsidiaries will send standalone direct marketing e-mail communications to you only if you have agreed previously. We support the option to not receive these types of communications. Please see the following section: How Can I Opt Out of Receiving Direct Marketing from Boom Content LLC ? E-mails that are sent to you as a result of you performing a business transaction with us or requesting specific information from Boom Content LLCare not subject to an Opt Out process. If you have any suggestions on how to improve these e-mails, please communicate to our Online Customer Service group using the Contact Us functionality on the Site. We appreciate your feedback but cannot commit to taking action. What Personal Information Does Boom Content LLCGive to Others? Transfer of Personal Information to Third Party Goods and Services Providers. Boom Content LLCemploys third party vendors, service providers, and suppliers to perform various functions on our behalf. Such services include: fulfilling orders; processing credit card or check card payments; collecting debts; removing repetitive information from customer lists; analyzing data; developing, hosting and maintaining our Web Sites and databases; sending and receiving e-mail and other communications; and staffing customer service call centers. These third parties may have access to personally identifiable information as reasonably necessary for the third party to provide these services. These third parties are not allowed to use personally identifiable information except for the purpose of providing these services. Certain information collected in connection with transactions may be provided to third parties for use in transaction authorization, fraud scoring and payment card fraud prevention modeling. Boom Content LLC , its affiliates and franchisees (if permitted by Boom Content LLC ) on occasion may disclose to their business partners certain data, such as names and addresses and the genre of products rented or purchased by Users or Members, so that the business partner may send their own direct marketing communications to Users and Members. Boom Content LLCwill not provide User or Member e-mail addresses to business partners, unless the User or Member has provided express permission to Boom Content LLC . If you would prefer that Boom Content LLCnot disclose your personal information to its business partners for direct marketing purposes, subject to legal, or contractual restrictions and legal notice you may opt out of such uses and/or disclosures by (a) checking the appropriate "Opt Out" box in any applicable e-mail communication or e-newsletter, (b) visiting www.Jo-games.com, selecting 'Contact Us'. Third Party Features. From time to time Boom Content LLCmay include additional features and functionality from third parties on our Web Sites. Certain of these features and functions, may require Boom Content LLCto send selected information about you, such as information about your game queue, to the third party. If you do not wish for Boom Content LLCto share this information, you will have a reasonable opportunity to opt-out of these third-party features and functions. Boom Content LLCwill never send your password or your financial information to any third party through these features or functions. Public postings. If you disclose your personal information in a manner that will be posted publicly such as in a product review your posting will be seen by others. In addition, if you elect to participate in certain community features offered from time to time, selected information about you, including information about your game queue, may be shared with other participants in these community features. Also, Boom Content LLCmay make it possible for certain third party web sites to be accessed directly from our Web Sites and for selected information about you to be provided to these third party web sites if you are also a user of these third party web sites. If a third party web site allows other users to view information about you (e.g., through posting to a publicly available profile page), the information provided by Boom Content LLCwill be visible to other users of the third party web site. How does Boom Content LLCProtect Personal Information? Boom Content LLCtakes reasonable measures to protect the personal information it collects, uses, stores or discloses. We have implemented physical, technological and organizational procedures designed to protect the integrity and security, and to ensure the appropriate use, of your personal information. These procedures are appropriate to the nature, sensitivity and format of the personal information collected, used, stored or disclosed by Boom Content LLC . For example, Boom Content LLCuses Secure Sockets Layering (SSL) to encrypt your personal credit information, including your credit card or check card number, before it travels over the Internet. SSL technology is the industry standard for secure online transactions. You can review and change certain account related information by visiting Boom Content LLC , submiting suitable identification and giving the Boom Content LLCyour changes such as providing a new address or phone number, removing names from your account, changing your credit card or check card information, etc. Note that in most cases, Boom Content LLCwill retain the previously entered data. Video Privacy Protection Act of 1988. Boom Content LLCsupports the Video Privacy Protection Act of 1988 and will use reasonable commercial efforts to require employee and business partner compliance with the Act.